I came across a unique waffle maker at CVS while out doing some Christmas shopping on black Friday. I, of course, had to have it. But really, who can resist sea animal shaped waffles!! 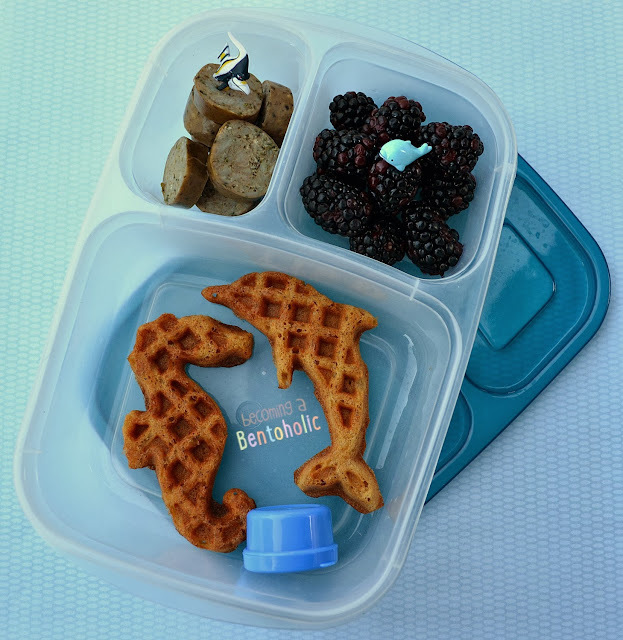 In today's lunch: Trader Joe's sweet basil pesto sausage, blackberries, sea animal shaped pumpkin waffles, and maple syrup in the blue sauce cup. Thank you for linking up to Fun Food Friday!